This Earth Day, people everywhere will be lending a hand at their local parks and charities. But supporting a greener world doesn’t have to involve a lot of work; in fact, it can start with the purchases you make. In honor of Earth Day on April 22, we’ve rounded up an assortment of eco-friendly gadgets, gear and gizmos that are as good for the environment as they are useful for you. Bring green technology to your wrist with a watch that’s powered by the sun. The Fanmis Men’s Solar-Powered Casual Quartz Watch is on sale for just $16.99 on Amazon. This timepiece features a complete calendar, LED display, multiple time zones and a stopwatch. It’s also waterproof up to 50 meters. You’ve heard of solar power, but how about water power? 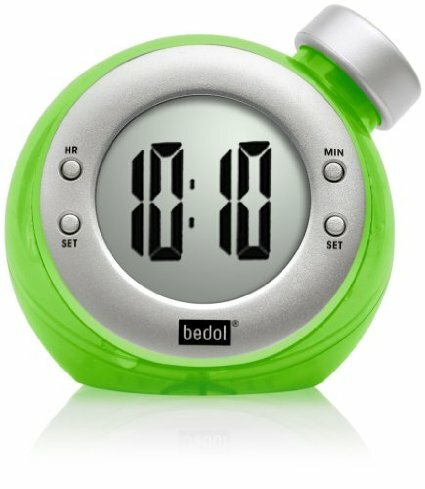 The Bedol Water-Powered Clock doesn’t require batteries or electricity. Simply fill it with water to keep it powered for months. This colorful clock costs only $19 on Amazon. When you’re away from home, a solar-powered phone charger relies on the sun’s rays to give your smartphone a boost. The portable solar charger battery from Matone is a 10000mAh solar power bank with a compact solar panel that can be purchased for $19.99 on Amazon. Ideal for campers and outdoor enthusiasts, this charger also features a dual USB port, so you can charge two of your devices at once. Light up the path to your house with solar LED lights. These decorative outdoor lights take in sun during the day and convert that solar power to energy that lights them during the night. You can get an eight-pack of Moonrays Payton Solar LED Plastic Path Lights for $25.73 on Amazon. The Coleman Camping Coffee Maker — $32.99 from Amazon — promises to brew up your beloved coffee without using an electrical outlet. When you’re enjoying the great outdoors, use this product to make up to 10 6-ounce cups of coffee. The compact, on-the-go coffee maker gets its power when you place it on a two- or three-burner camping stove. Not only is this product green; it’s also ingenious. Ideal for road trips, the Wagan 2577 Personal Fridge/Warmer lets you either heat up or chill food and beverages while you’re in your car. 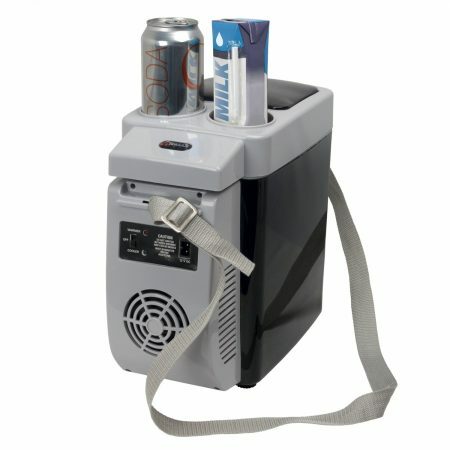 The product has a 7-liter capacity and plugs into your vehicle’s 12V power outlet, or cigarette lighter. It’s $49.99 on Amazon. Next up is a bamboo solar-powered wireless Bluetooth speaker. This efficient speaker also includes a lithium ion battery that can store up to eight hours of charge time, even when your speaker isn’t exposed to the sun. You can rock out to the solar wireless Bluetooth speaker by Reveal for $79.95. The Eceen Cycling Backpack takes solar charging one step further. It’s a solar-powered backpack intended for use on cycling excursions. 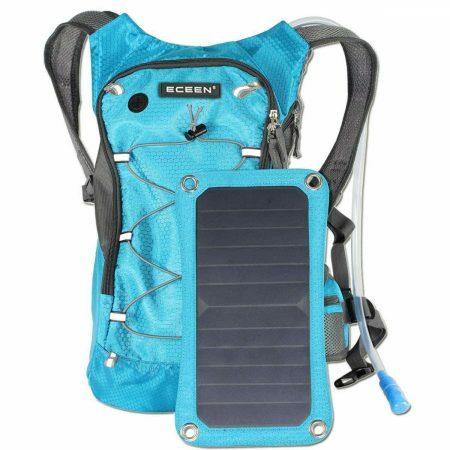 The sturdy pack is equipped with a waterproof 10000mAh power battery pack that after being in the sun for six hours has enough power to charge three to four mobile phones, two at a time. You can purchase this backpack for $88.95 on Amazon. Protect yourself and the environment, too, with the Automatic adapter, a product that plugs into your car and gives you information that can help you maximize fuel economy. It can provide readings that diagnose engine problems, alert you when your fuel level is low, tell you whether your gas cap is loose, help you find more efficient commute routes, and more. You can buy the Automatic connected car adapter for $99.95. Once you’ve purchased it, pair the adapter with the company’s free mobile app to see car stats and trip reports on your smartphone.